On the quiet northern side of the Mendocino peninsula, Mel Lockey leads me on a walk along the trails in Mendocino Headlands State Park, which is located just across the road from his inn. An expanse of blue sea blurs into the wisps of fog drifting toward the shore. Waves churn and crash into the rocky cliffs below the grass-lined foot path. We walk into a thicket of windswept cypress trees which, in turn, opens into a natural amphitheater encircled by the trees. They frame a dramatic view of the headlands and the vast ocean stretching beyond. Fading rose petals are strewn along the ground, vestiges of a recent wedding. Mel and his wife, Lindalee, were married at this spot 35 years ago on Valentine’s Day. For 42 years, they celebrated the anniversary of their first date at the same restaurant every year. “My wife and I were true romantics,” said Mel. 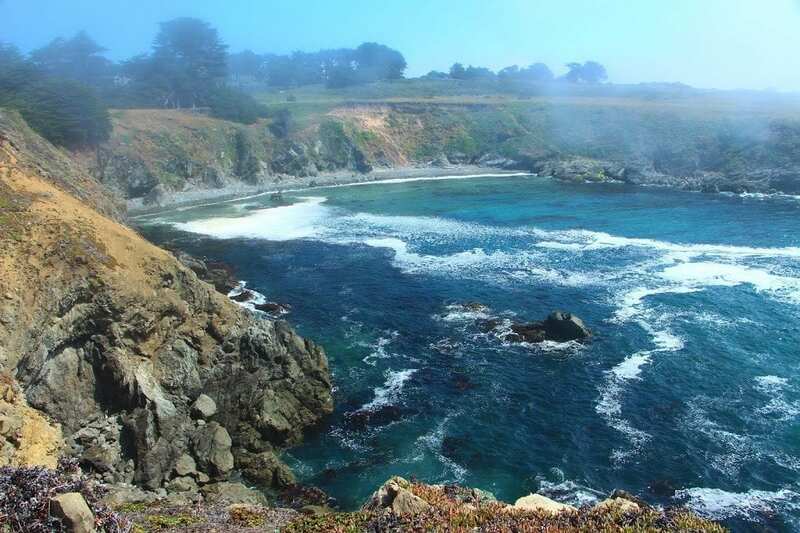 They bought Mendocino Seaside Cottage in the 1980s and created a private, romantic escape for couples. The heart-shaped sign at the entrance to the inn provides a hint of the romance inside. Beneath a canopy of eucalyptus and cypress trees, guests are welcomed by a beautiful, sun-dappled garden. 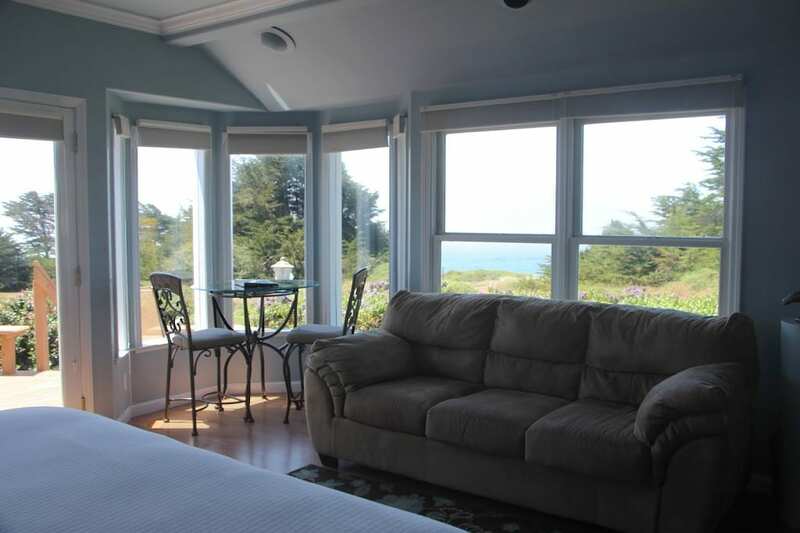 The inn is a contemporary Victorian in its design with bay windows overlooking the headlands and the ocean. Each of the five spacious suites have private entrances, private decks and balconies with sweeping ocean views, king-size beds, and gas fireplaces. All but one of the rooms have Jacuzzi tubs for two; the Penthouse Suite also has a steam shower with dual showerheads. 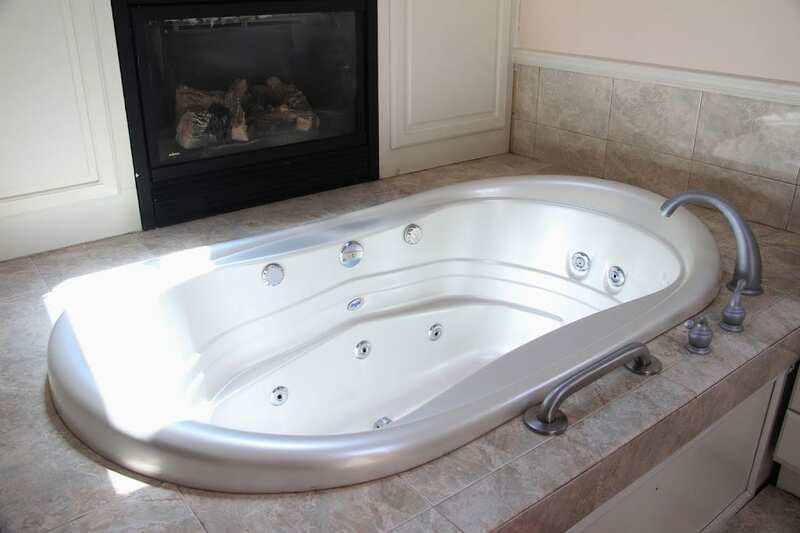 In the Tropical Cottage, the Jacuzzi tub is set in front of a glowing gas fireplace. 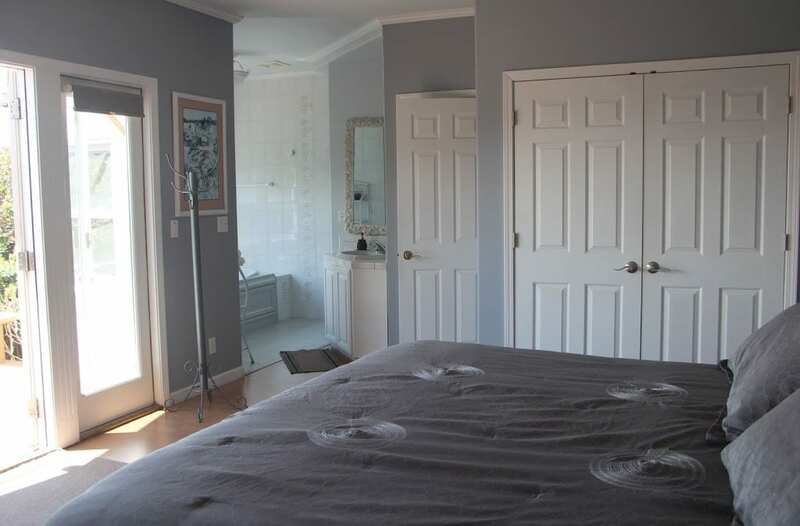 The only room without a Jacuzzi tub, Vista View, has possibly the best view of the headlands. There are spotting scopes in each of the rooms for whale watching and bird watching. 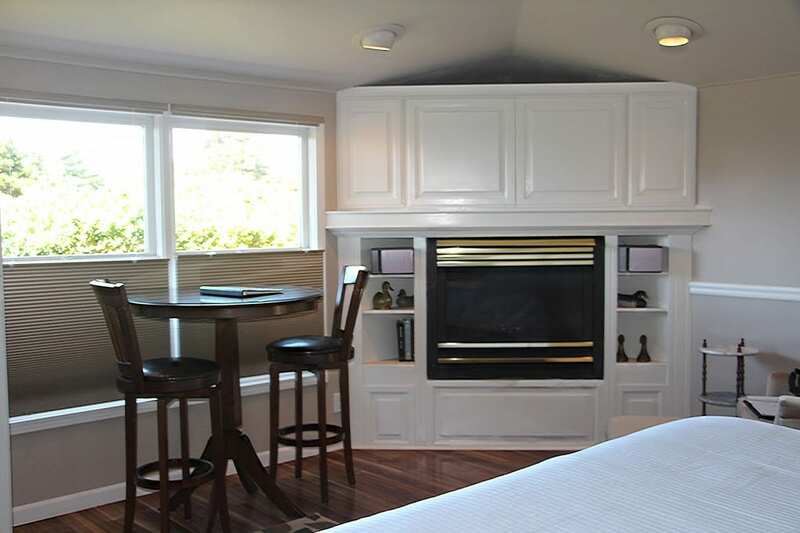 Built-in entertainment centers offer televisions, stereos, and DVD players hidden behind the cabinets. Free wireless internet is also included. 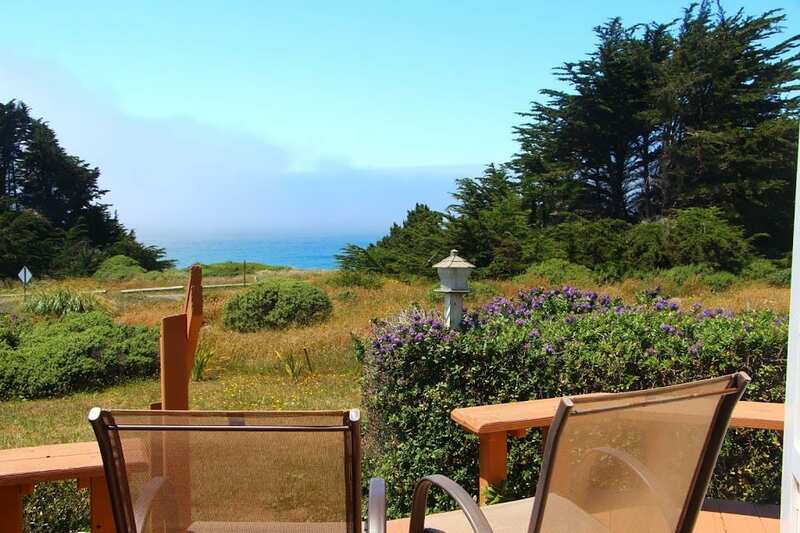 Unlike the many B&Bs in Mendocino, the Mendocino Seaside Cottage does not serve breakfast (a choice in keeping with the owner’s desire to create a private hideaway) but village cafes and restaurants are a just short stroll away. Plus, all of the rooms are equipped with full kitchens or wet bars with microwaves and refrigerators, and cozy dining spots with ocean views. So there’s always the option of checking in and never leaving the room. The light-filled dining alcove of the Penthouse Suite, for example, is a place I could easily spend hours gazing out of the wrap-around bay windows with their panoramic views of the ocean and Point Cabrillo Lighthouse.On our hike, Mel leads me along a trail atop a narrow strip of land jutting out into the ocean, where we can look back at the coves filled with swirling turquoise blue water. “It was our dream, working together,” says Mel. But after 33 years of marriage and decades of owning the inn together, Mel lost his wife to illness. On what would have been their 43rd “first date” anniversary, Mel returned to the restaurant where they had celebrated all of their previous anniversaries alone. He ordered a martini for himself and a Manhattan for his wife. It was the drink she had always ordered. “I drank both,” he tells me. The special romance between Mel and his wife live on in the seaside escape they created together and continue to share with others.